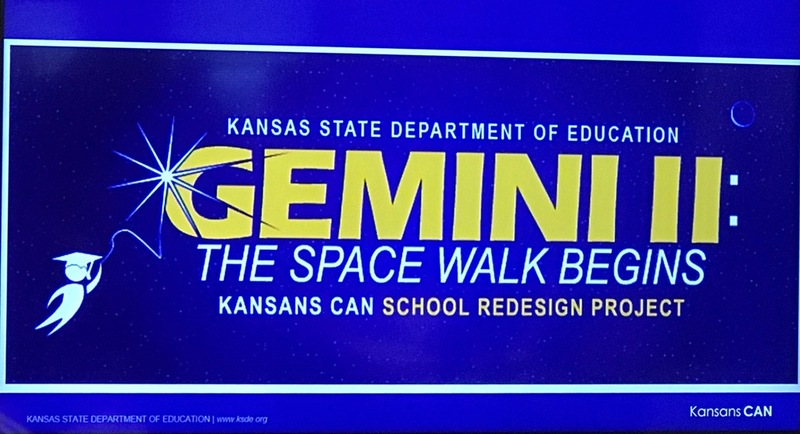 Lakin, KS — The Kansas State Department of Education (KSDE) announced Tuesday, April 17, that Lakin USD #215 is one of 19 school districts from across the state selected to take part in Gemini II: The Space Walk Begins, which is the next round of the Kansans Can School Redesign Project. “To be selected for redesign speaks very highly of our staff, school and board of education. The redesign project will provide Lakin with a great deal of opportunities including to do what is best for our individual students and allow us to build even strong connections and relationships with our community. The traditional model of school of closed, square classrooms, rows and bells that has been used for the past 50 years does not necessary meet the needs of each individual student anymore with the changes that have occurred with technology, workplace environment, and many other changes in our world. As we redesign, with the support of KSDE the canvas is ours to create to meet the needs of our Lakin students.” said Larry Lyder, Superintendent. Lakin USD #215 plans to launch a new school redesign in the 2019-2020 school year and will serve as a future demonstration site for other districts in Kansas to study, learn from and visit. For more information about Lakin USD #215, visit www.usd215.org and download the Lakin Broncs app from the iTunes Store or Google Play Store by searching Lakin USD 215.